Very cool idea to teach children about charity – two piggy banks. One for them to save in and one to donate from. Like I said, nothing revolutionary, but a huge change for a site that has resisted making any changes over the years. Check out the rest of the photos at The Chive. UPDATE: Turns out it was all a hoax. People believed it because I think everyone at some point would have wanted to quit this way. A remote controller helicopter? Cool. A WiFi helicopter controlled with your iPhone? Super cool. Video cameras? Pretty freaking awesome. 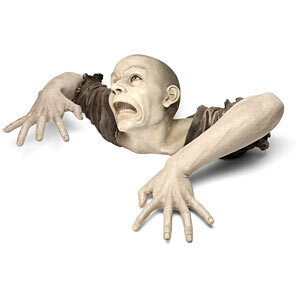 Ok, this is definitely something I want for my garden. Oh wait, I don’t have a garden. Hmmm… I wonder where else I could put it and if I could bring it as carry-on luggage. 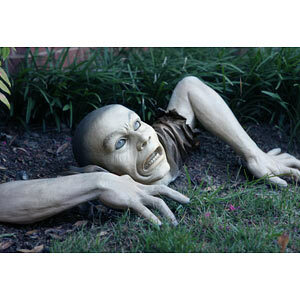 The Garden Zombie is only $89.99 from Think Geek. This site has long been forgotten about. Yet another good idea that never quite materialized. I have just discovered that I do enjoy blogging though. Please be sure and check out my new site. Hopefully it will not go the way that this one did. But, who knows, maybe this one will be resurrected too… Time will tell.